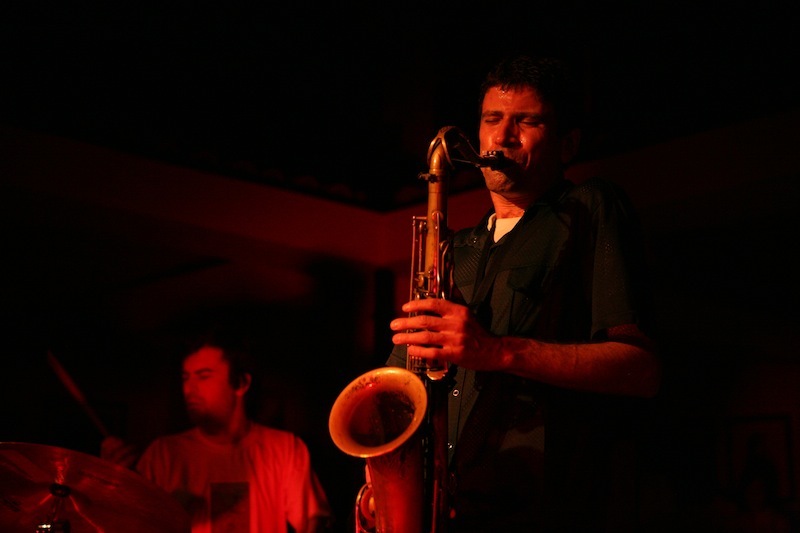 Stephen Gauci is recognized as one of the most distinctive and enigmatic saxophonists on the New York City improvised music scene. Stricken by a childhood illness that has left him with a profound hearing loss, Gauci was drawn to the clear, deep, tone of the tenor saxophone. This was the first step in a lifelong relationship with, and investigation of tone, timbre, and especially voice. The nature of Gauci’s hearing loss are that outer sounds require of him the utmost level of concentration and focus. The flip side, however, is that inner sounds, and the inner voice, are magnified: crystal clear and singing. The intense outward focus developed as a result of Gauci’s hearing impairment has been turned inward like a laser to illuminate, and manifest, the inner voice. A short list of musicians that Gauci has shared the stage with include Nels Cline, Karl Berger, Kenny Wessel, Kris Davis, Tyshawn Sorey, Daniel Carter, George Garzone, Nate Wooley, Roy Campbell Jr., William Parker, Steve Swell, Mike Bisio, Kevin Shea, Ingebrigt Haker Flaten, Kirk Knuffke, Dave Rempis. In the past 10 years Gauci has released sixteen records as a leader. He has performed at the Creative Improvised Music Festival (Austria), Rochester International Jazz Festival (New York), High Sierra Festival (California), Earshot Jazz Festival (Seattle), and the Vision Festival (New York). Gauci has toured throughout Europe including Sweden, Germany, Austria, France, Hungary, and Portugal.